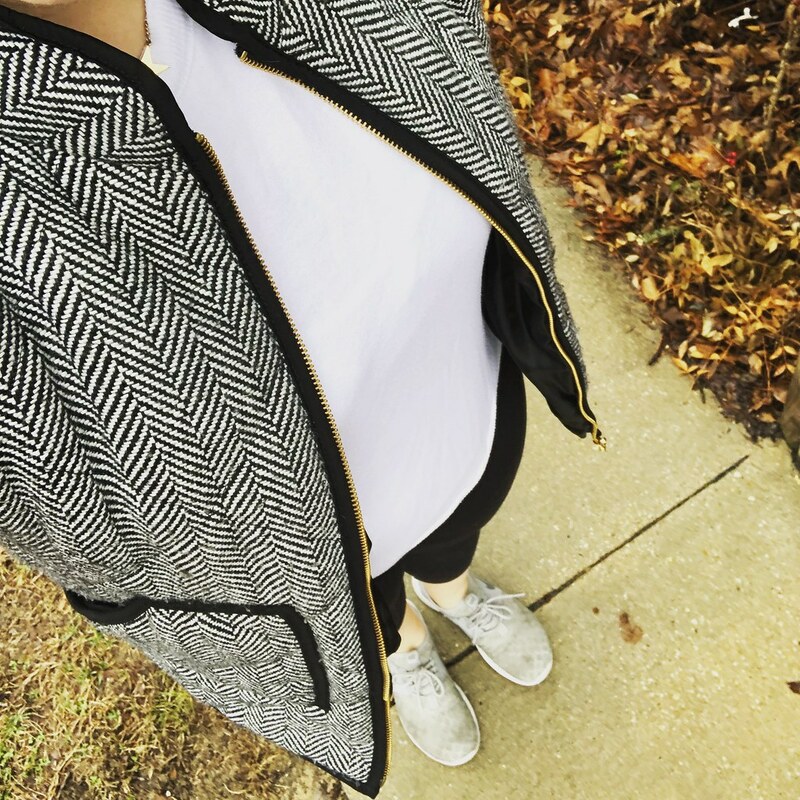 As a pseudo-style blogger, i find my wardrobe is kind of boring. I don’t really consider myself super stylish, more classic and comfortable. I keep thinking about a capsule wardrobe and maybe for spring I’ll do one – I know the same colors dominate my wardrobe (olives, navy, blush, black and white), I really rotate through 3 or 4 pairs of pants regularly, and the same few tops, I just need to spruce up the combinations instead of the same thing..over and over and over again. 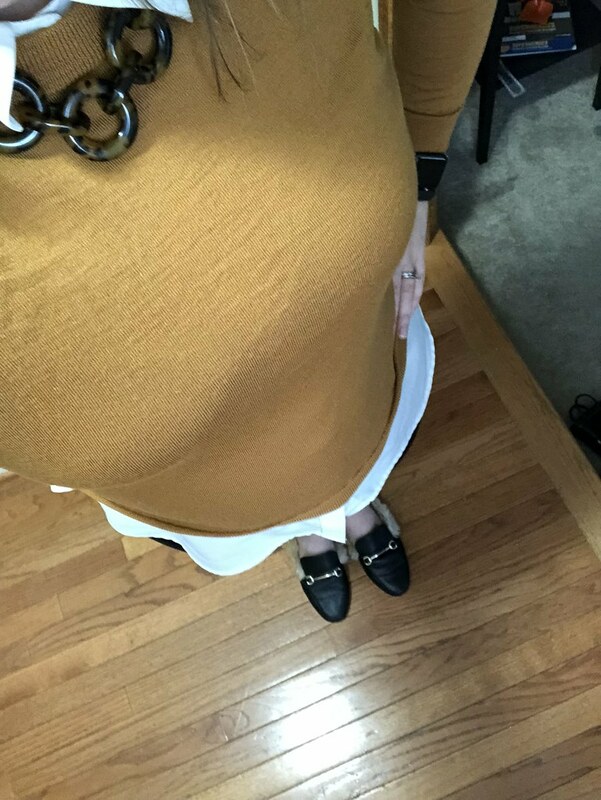 Lo, here are a few of the outfits that I’ve been rotating through over and over and over again. Over the past few weeks! This is an oldie but such a goodie. The sweatshirt (out of stock now) is so comfortable and the perfect business casual piece to dress up or down on days when you just don’t want to think or worry about what you’re wearing. 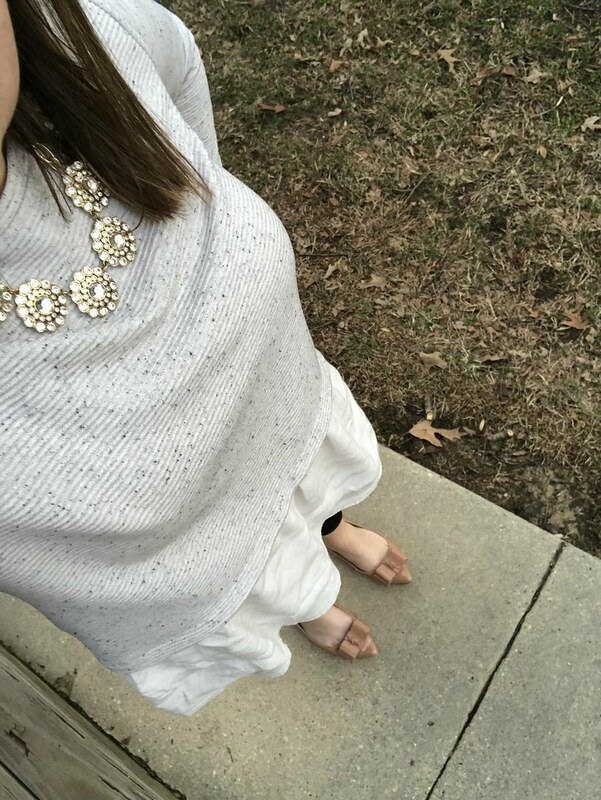 We’ve seen this outfit before – it was what I wore to our family Photos back in November but it’s such a comfortable and classic casual Friday outfit that I had to include it. Especially as it gets warmer and we don’t need jackets, still appropriate for those 40 degree days where you’re not quite ready to go short sleeve. 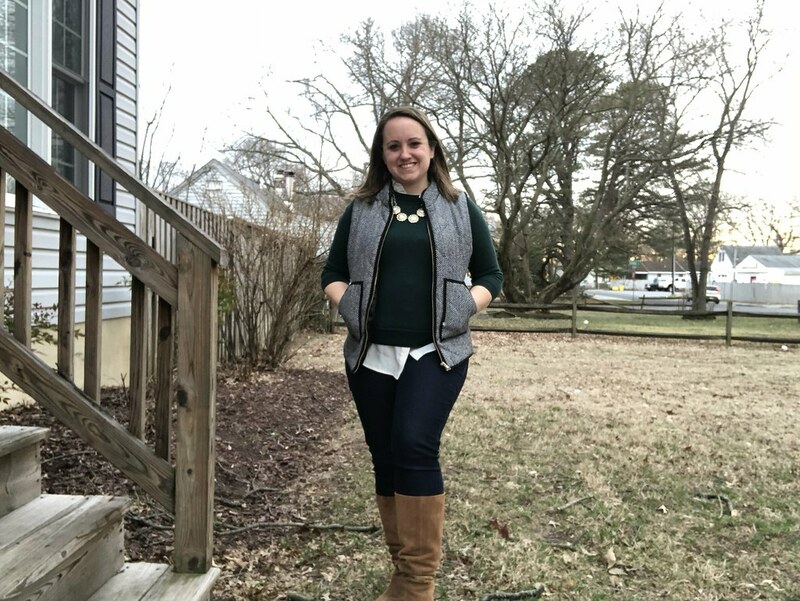 Because it wouldn’t be an outfit post without my favorite Tippi sweater from J.Crew – a staple in my winter wardrobe for both work and play (as seen above). 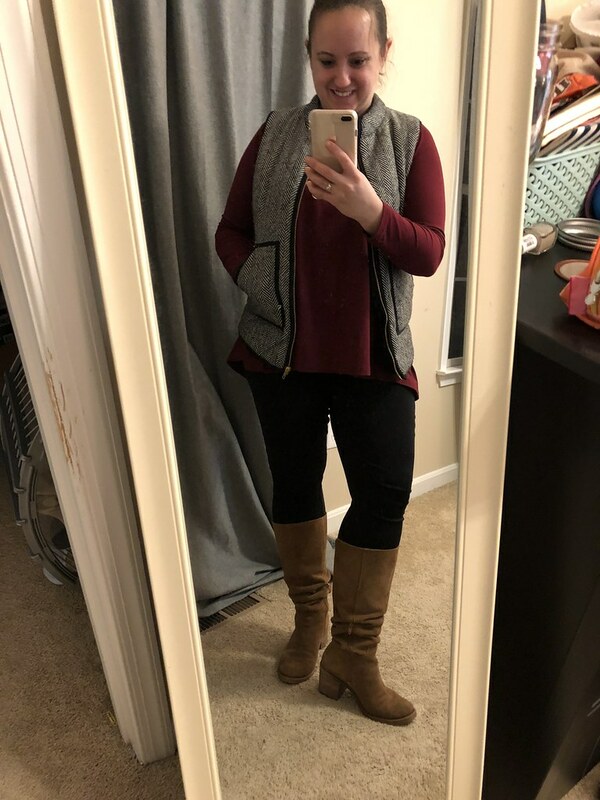 What are YOU loving in your wardrobe lately?